AAA Arizona has serving our state since 1927. Probably originally best known for their automobile services, like 24-hour roadside assistance, they also provide other services. These include mobile battery service, rental car delivery, insurance services and travel services. You can also look to AAA for recommendations about the best places to eat. In 2016 AAA selected 23 dining establishments in Arizona as either 4- or 5-Diamond rated restaurants. There are many restaurants in metro Phoenix that provide fine food. According to AAA, a 4-Diamond Rating means that "menus reflect a high degree of creativity and complexity, using imaginative presentations to enhance high-quality, market-fresh ingredients. The proficient service staff demonstrates a strong desire to meet or exceed guest expectations." The 5-Diamond restaurants are "renowned and consistently provide a world-class experience. This is 'haute cuisine' at its best. Menus are cutting edge, using only the finest ingredients available....A maître d’ leads an expert service staff that exceeds guest expectations by attending to every detail in an effortless and unobtrusive manner." You might notice that most of these fine restaurants in Phoenix and Scottsdale are associated with hotels or resorts. I have marked the restaurants that are not on hotel properties with an asterisk (*), in case you prefer that type of restaurant. Of note, most of our finer restaurants are in Central Phoenix or on the east/northeast side of town. In 2016 there are no restaurants included here on the west side of town (the Wigwam Resort restaurant in Litchfield Park used to be on the 4-Diamond list, but no longer is). If your budget is not restricted, you are certain to have an elegant and memorable meal at any one of these Phoenix-area dining establishments. 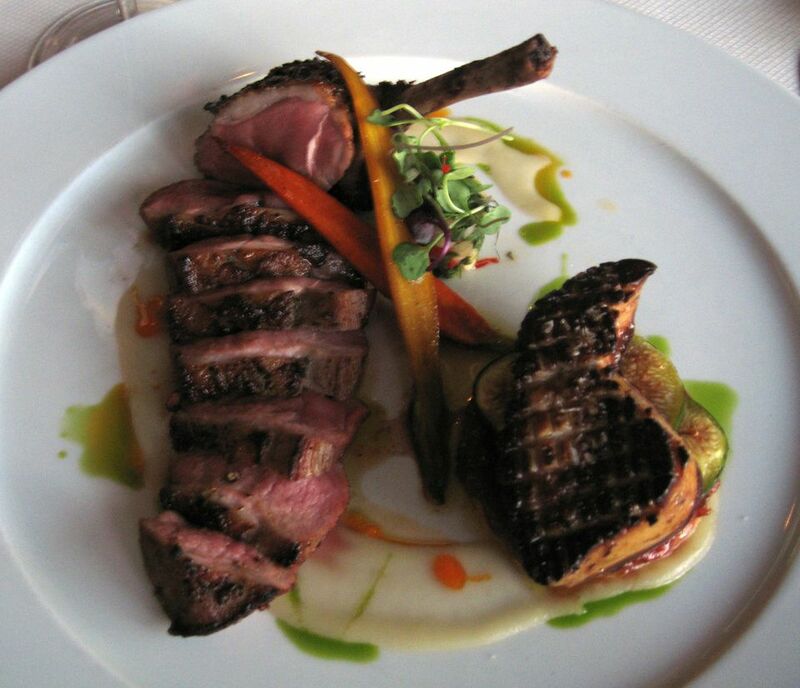 Looking for fine dining in Tucson or Sedona? You can find the AAA rated restaurants outside of the Phoenix area here. Kai is the only restaurant in Arizona to receive the highest awards from both AAA and Forbes Travel Guide. It is the premiere dining choice at the Sheraton Grand at Wild Horse Pass on the Gila River Indian Community reservation. The dress code at Kai calls for business casual attire. Shorts, tee shirts, athletic shoes and flip flops are not appropriate here. They prefer that guests not wear jeans. Kai is open for dinner Tuesday through Saturday, closed Sunday and Monday. If weather permits, enjoy Kai on the patio. The wine selection at Kai has been recognized as one of the best wine lists in Arizona by Wine Spectator. About the food: the "Native American with Global Accents" concept was invented by the Chefs from Kai at the Sheraton Wild Horse Pass Resort and Spa. Every dot and morsel on your plate is not only artistically arranged, but also has a specific flavor or texture to enhance the dish. Let Kai take you on its special journey. I don't recommend that you bring young children to Kai. Kai is also known for its romantic views.